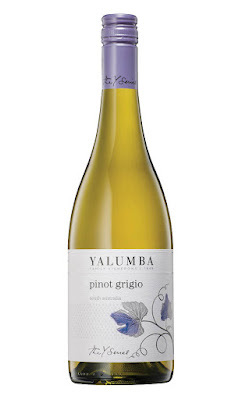 This is the fourth release of this Pinot Grigio but my first look at it. Half was fermented in stainless steel and the remainder in oak with lees contact. The texture and creaminess from the later is evident. Lemons, pears and a dash of ginger. The mid-palate is creamy and there is a subtle hint of saltiness with a minerally edge. Citrus fruit drives late again leaving a tang before finishing clean and crisp. Good drinking. Sunshine, lunch time and spring shouldn't be too far from here. A blend of fruit parcels from the Tarraford, Sexton and Lonestar vineyards, 40% whole bunches steal the show. An abundance of red fruit is wrapped up by some savoury goodness courtesy of the bunches. Wickedly wild and alive aromas strike the first blow. There's some funk but it's straight laced at the same time. 80% older oak helps the fruit do the talking. I have fond memories of Watershed - my wife and I lunched there whilst on our honeymoon many years ago - a great spot! The more I think about it I even recall having the Marron. 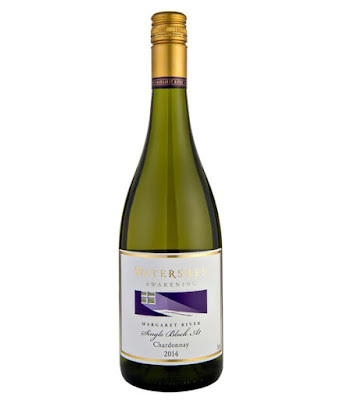 It's been a while between drinks too, I haven't had a Watershed wine for ages. Pork was roasting over coals for dinner the other night so Chardonnay was needed. I grabbed this from a chain retailer for $29 - I couldn't believe my eyes considering the listed RRP. A single vineyard wine, this has had the Rolls Royce treatment. Brimming with citrus and stone fruits, grapefruit acidity makes the mouth water before roasted cashews chime in. Citrus washes back through late leading to a long a satisfying finish. Oak has been used judiciously, but that acidity is just captivating. Such a delicious and seductive wine. I kept going back glass after glass. I'll be heading back to get a few more bottles too - a super buy. Drink now and over the next 8 years. We have a live one here. Bursting with freshness, I just want in. Attractive aromas of red berries, choc mint, and a sweet smell of clove. Dainty blackberry fruit tip toes about with dark cherries. Dark fruits persist throughout. Soft and succulent, it slides through with ease. Quite moreish - an easy drinking delight. Perfect for picnics and that's just how I enjoyed it. Made from Sangiovese grapes grown on the De Iuliis Lovedale Road vineyard, there is plenty of berry fruit in this dry style Rosé. Strawberry, raspberry and cranberry fruit drive the bus here. Clean and crisp with respectable length, the outdoors, sunshine and smiles have this calling. It's well priced too. A delightful wine singing with layers of interest. Sliced apples, pears and fresh herbs. Add to that some textural appeal, a creamy touch through the middle with a chalky finish, and you have yourself a smart take on Fiano. A creamy pasta dish would eat this up with ease. I've seen this priced well below $20 too which makes it terrific buying - one worth looking out for. After a long few days I came home late last night and just wanted to sooth the soul with some wine therapy. I had a quick dig in the cellar and found this Granite Belt Shiraz which I had purchased at the cellar door a couple of years ago. Coming off 50 year old vines in the Ballandean district, this hit the spot. A generous pour seemed to vanish in moments, and again a second glass. Maybe I was just thirsty? Maybe I was just enjoying it too much? Regardless, I wish I had purchased more - hindsight has a habit of doing that. 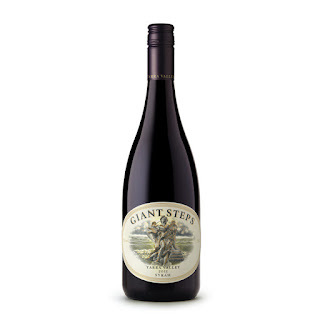 Medium bodied, red fruit, dark cherries, red plums and some meatiness sit at the core of this wine. Milk chocolate arrives late as do juicy tannins which sit long. Not overly concentrated, there's enough persistence in the finish to entice you back again. Delivery is smooth, and really, it's just a good wine for pleasure's sake. Drink now and for the next three years. This is the last of the Gundog Estate wines I've had a look at from this batch of samples and the bar seems to keep getting higher and higher. What a way to finish! A blend of a few Hunter vineyards, this has a little more depth than the Hunter's Semillon. I'd be tempted to tuck this one away for a few years whereas the Hunter's is certainly a drink now style. Cut herbs, a squeeze of lemon and a lick of green apple skin. This is serious stuff, business suit stylin' even with the handkerchief in the top pocket - you get the picture. Sophisticated booze that talks the talk and walks the walk. Semillon purists would find it hard to turn this away. Great buying for $30 too. Drink with pleasure now but time may well produce something a little more special. Wait and see I guess. Loaded with citrus, a year on the freshness is still king but the dial has been turned down a tad. Juicy lemons, some tang, good mouth feel. Fish n chips will do the trick here. I'd easily have a glass or two. Drink now or let it age gracefully. 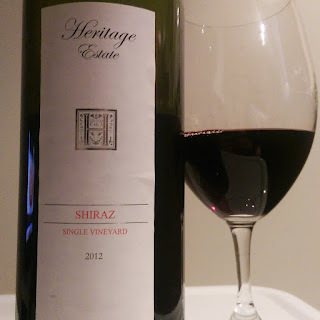 Shiraz Mataro - not a common blend but one I'd like to see more of. I made some myself in 2014 so I have a vested interested in it. I've even nicknamed it Shitaro - I reckon it can catch on too. The fruit here is from the Tatiara District which sits half way (Mezzo) between Adelaide and Melbourne, the vineyard was planted in 1988. It's directly north of Coonawarra, no more than a 90 minute drive. Deceptively smooth with lots of delish factor. A 90/10 blend, blackberry fruit, dark cherries and meaty through the middle, cinnamon and baking type spices roll through with ease. Some vanilla hovers about too. Delivery is smooth, long and moreish - worth getting hold of if you can find it. Good value too. A fantastic aged Semillon release from a great Hunter vintage. Clean and crisp, toast characteristic synonymous with aged Semillon begin to step up here. Still early days in the aging phase, fresh lemons have shifted to more to the preserved spectrum. There's still an enticing freshness present, the best of both worlds in some respects. Only five years old, there's many years still in the bag. Long and persistent, there's no reason to wait for the impatient - it's drinking very well. Find some seafood and happiness will follow. Easy drinking Semillons like these are so underrated - I'm a big fan of how Hunter winemakers are now attacking the market with gems like this. Juicy as, apples and lemons fill the aroma and taste profiles. Green apple has a rails run pushing through to a delicious and moreish finish. Crisp and cleansing, there's certainly lots of smash factor here. Lots! I could sink a couple of glasses pretty easily. Drink now in the pool! This is the first Syrah release in the range making it five all up now including Sauvignon Blanc, Pinot Gris, Pinot Noir Rosé and Central Otago Pinot Noir. Expected Hawkes Bay black pepper holds true. There's a whiff of graphite, red berries, blueberry and dark cherry fruit. Time in the glass brings on a lick of red frog/red raspberry lollies. Charred meats and pan juices play a solid hand. Dusty tannins skip through but the fruit sticks to the mid palate. A good drink no less. Happy hunting is finding this on special for ten bucks. This certainly punches above its weight. Floral aromas and plenty of citrus interest get things moving in the right direction. The label suggests real lemonade and it hits the nail on the head. Refreshingly delish, that citrus fruit lingers well before crisp acidity chimes in. A no brainer for some bargain factor. Good stuff here for an RRP of 15 bucks. There's some depth with fruit that fills out well. Curious aromas get the attention - think little white flowers, citrus flower and green pear skin. Poached pear, apple and what seems like a fine dusting of baking spice add appeal. Lots to like here and certainly worth a look. Find it on special around ten bucks - a bargain! Whiffs of margarine, yellow flowers and sunflowers. Faint yellow peach, subtle honey mead and cinnamon like spice which lingers. No heavy or clumsy oak clouting you over the head either which can be the nemesis with cheaper Chardonnays. A solid wine really and good value for the $$. Tropical and citrus fruit takes charge here with less of the grassy stuff seen in its distant cousin Oxford Landing Sauvignon Blanc. Lemons, some grapefruit, papaya and pineapple. Crisp and cleansing acidity with a lingering lemony tang. The citrus push doesn't make it look too Sauvignon Blanc though. Some would be keen on this, others may not. An easy quaff no less. A simple Sauv that will please those looking for a cheap, uncomplicated drink. Tropical fruits, cut grass, and slight pineapple husk aromas move to green melon, some more grassy action and passion fruit in the mouth. Those fresh fruit characters slip through pretty quickly though leaving a phenolic grip. Spiced poached pear on a podium finish in a two man race. There's nothing else apart from some apple competing. That pear sits in the mid palate but the remainder is pretty simple apart from a crisp acidity. A fair drink and decent value. Smart Semillon. Enough to send you wild, pun intended. Wild fermentation took place on skins and some residual sugar has also been retained. This is Semillon like you've never known it. Clever stuff. Pretty aromas - delicate florals, a hint of pineapple husk and green apple. Its textural but not dense. It's thought provoking but so easy to slurp. There's plenty of width and breadth and a damn heap of pleasure. That residual sugar looms late and cleanses nicely. I'd buy a bottle for sure (and do my best not to share it). Can spring just hurry up already! There's more red here than your average fire truck. Red stuff galore - currants, cherries, strawberries, cranberries, yes, yes and yes! Made from Cabernet grown just outside Canberra in Gundaroo, it's bone dry and possesses maximum slurp factor. Subtle mandarin to taste peeks through on exit too with those red berries and friends hanging long and proud. Stray Mongrel alright - it's not everyday you see a blend of Grenache, Shiraz and Zinfandel but gee it works. I washed down some French Toulouse sausages from my butcher and it hit the mark. Medium bodied, dark fruits take the lead from chocolate and some sweet fruit brightens the palate. Peppery spice in stealth mode sneaks in and cordons off the area - nice. A wine you could drink a whole lot of. Timing is everything they say. I've missed winemaker Matt Burton a couple of times in recent trips to the Hunter. We will cross paths soonish no doubt. Burton sources fruit from a few regions apart from the Hunter Valley, the home of his cellar door - a pretty cool place admittedly and worth the pop in. 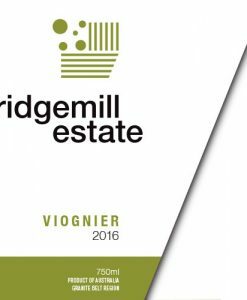 This Shiraz comes from the Hilltops region which is starting to get deserved acclaim and is the second release of this label. Lots of scents of dark fruit with a savoury edge holding back early on before pushing its case late. Plums, black cherries, dried Mediterranean herbs - plenty to get comfy with. A dusting of fine pepper rolls through as it sinks into its shoes and hangs on long. I was scrambling for something slow cooked to have with it. This is Riversdale's mid-range Pinot Noir which comes off their 120ha vineyard in Tasmania's Coal River Valley, 20km from Hobart. You get a sense this is a wine comfortable to be in its own skin - just good drinking Pinot. Aromatic herbs gets things going. A savoury style but the balance is what grabs my attention. Reds fruits fill out well and are framed by those savoury characters before a gentle star anise and pepper spice roll through to a sustained finished. Lots of satisfaction here. I'd have a couple of glasses easy. This fizz has an indulgence factor about it. A Chardonnay and Pinot Noir blend (50/50), it's lean but layered. Think a squeeze of lemon, green apple skin, slivers of almond, brûlée, and delicate brioche. So fresh and cleansing, textural interest adds to the complexity as it drives through with plenty of width and length. More please! Sourced from the Carlsfield vineyard, the highest in Watervale, pretty aromas spill from the glass. Scents of white flowers, citrus flower, lemon juice and lemonade fruit. The fruit sits in the driver's seat flanked by a minerally edge. A zippy tang and cleansing acidity feature nicely on the finish. Over a two days of tasting it became more settled and composed - aging won't be a problem. To drink now though and I can't help but think of oysters with a citrusy granita. Bone dry as the name suggests, this is a good drink for the price. The fruit comes from a range of Watervale vineyards delivering lemon/lime splice, lemon pith, cleansing acidity with a chalky and talc like finish. If anything, it thins out through the middle. Regardless, it's enjoyable drink and decent value. There's not a whole lot wrong here. A very inviting wine, so much so you could put a hole in it quite easily. Bright red fruits and cherries run riot, even some apricot kernel. Oak used judiciously. There's an undertow of twigs and those forest floor type characters but the juicy and fleshy fruit is king here. Soft, moreish and deliciously balanced in delivery before a wave of peppery spice washes through to a long and enjoyable finish. Excellent buying too for the money. Honey, some toast from the use of oak during ferment, creamy and perhaps a little whiff of cheese. Clean and crisp with a little textural interest. Not bad for some cheese and crackers. A solid drink without jazz hands. Only 10% new oak is used but the presence of the wood curiously stamps its foot. Stewed plums, dark fruit, nothing overly interesting. Spice whips up the tail with a cracking citrus like acidity. 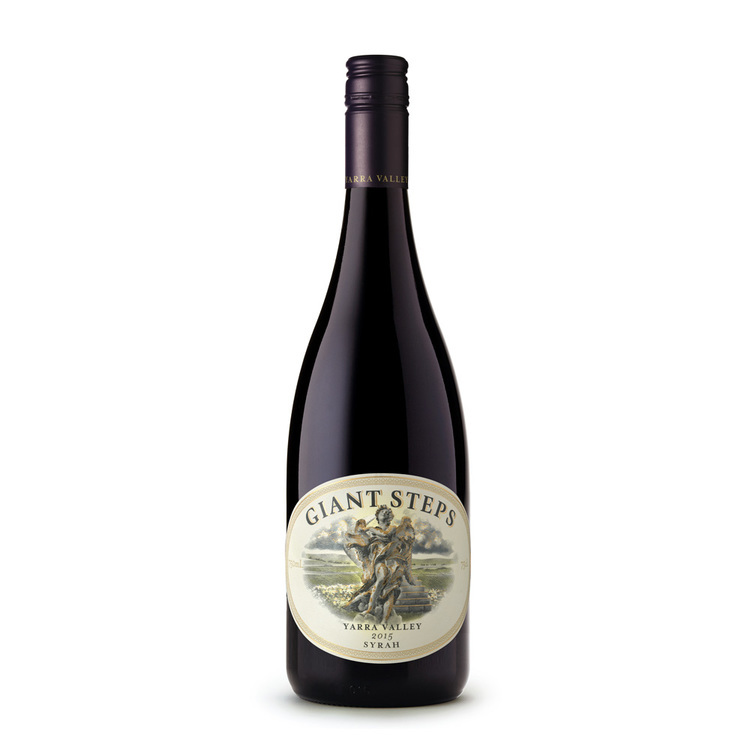 Named after the Cullerin Range on which the fruit is grown at 700m above, this is a more serious Pinot than the entry level Lake George Pinot in the range. Cherry perfume, dried red flowers, stawberries, dried twigs, mushroom compost. Smooth delivery, it's plump - on the weighty side I mean. It's ok but nothing to run for. Drink now but will sit for up to ten years. 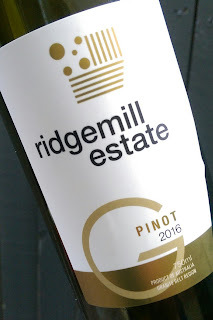 This is the entry level Pinot of three in the Lerida Estate range and my first look at any. Scents of axle grease, pan juices, tiled earth, red fruits - namely cranberry. Quite a simple wine, thin on fruit but black pepper spice chugs through taking the reins with a sour lemon like acidity. A steep ask for 27 bucks. There's more fish in the sea. Some a little different from the Barossa here and it's a winner. Smells a bit jammy, but sweetish jam. Dense red fruits but there's a peppery spice and clover game being played hard - and I like it. There's a consistency to a Mike Hussey innings, everything is measured and controlled. Some flash, some reverence, but in the end the elegance takes hold. Long to finish, I'd go here again and again no question. Drink now to ten years. Maybe more? A beautiful drink. Tasting this on a chilly night just makes me wish summer would hurry up already. The fruit is sourced from a vineyard roughly 10 kilometres north of the Ridgemill Estate winery as the crow flies. Winemaker Peter McGlashan was determined to let the fruit do the talking here and he's certainly ticked that box. Lovely aromas straight up - pears, green apple and fresh green bean. There's tang, there's a squeeze of lime, there's ginger like spice and there's lots of happiness to be found. Very satisfying indeed.